Please help continue the fight to protect LGBTQ students and teachers. I'm disappointed, and I'm angry. The Federal Parliament gets an F for failing LGBTQ+ students and teachers. Again. Late in 2018 Prime Minister Scott Morrison promised to change the law to ensure that no LGBTQ+ students could be expelled from any school. But now his Government has teamed up with South Australia's Centre Alliance Senators to refuse to change the law without also introducing new forms of discrimination. As a community we will never accept trading off the removal of one form of discrimination only for it to be replaced with new and different forms of discrimination – it's just not right. 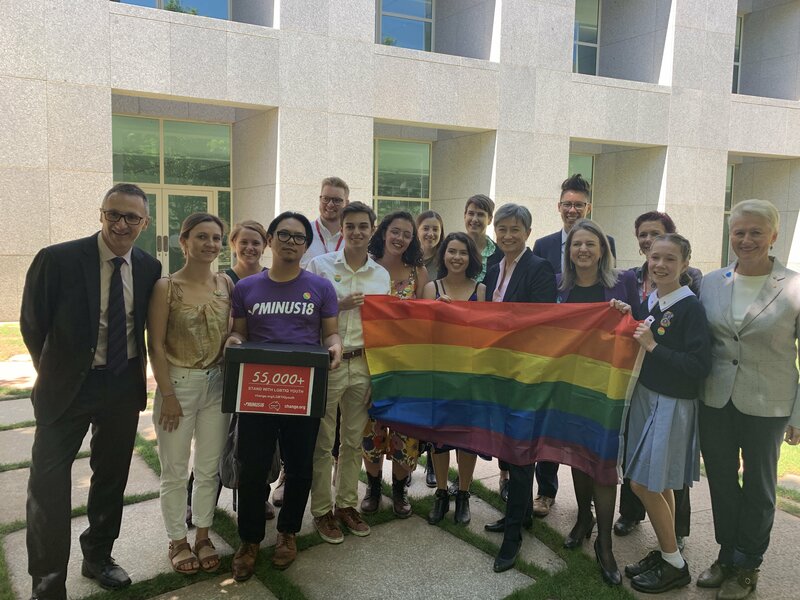 The Government and the Centre Alliance Senators' refusal to drop their demands for new, discriminatory amendments to the ALP Bill means that they have essentially killed off any chance of the law being changed to protect LGBTQ+ students before the next federal election. They have also refused to support efforts by Labor and Greens Senators to ensure that legal protections are extended to LGBTQ+ teachers and other staff working at religious schools. It is completely unacceptable for LGBTQ+ students and teachers in religious schools to remain at risk of discrimination and expulsion. And the majority of Australians agree with us. When we conducted research in late 2018 we found that over 70% of Australians support protecting LGBTQ+ students and teachers. This support was consistent regardless of who you vote for. Liberal, Labor and Green voters all want to see LGBTQ+ students and teachers protected. We've been working really hard to make sure our politicians understand what we want – for all schools to have the same rules. We've written submissions and given evidence to parliamentary inquiries, met with politicians and worked with Change.org and Minus18 to deliver a petition with over 50,000 of our signatures to Senators in Canberra. We know this is a fight we can, and we must win – please consider contributing a couple of dollars to propel us forward together. We need to make sure that protecting LGBTQ students and teachers is a priority for whoever forms Government after the next Federal election. We need to keep talking to MPs and candidates, sharing our stories, mobilising LGBTQ and non-LGBTQ Australians alike to keep up the pressure for the law to be changed. It's a big job, and it takes committed human and financial resources to get it done. Equality Australia relies on community funding and donations to cover the costs of the technology used to host petitions and send emails; to fly advocates to meet with MPs; to produce communications that outline facts and tell our stories; and to pay for staff to coordinate our efforts. Every donation – no matter how large or how small – supercharges what we can achieve. And together, we have the power to change laws, and change lives.